Chicago Review Press, 9780915864003, 144pp. an education and would become the first black graduate from Iowa Agricultural College. Carver then took a teaching position at the Tuskegee Institute, founded by Booker T. Washington. There, Carver taught poor Southern farmers how to nourish the soil, conserve resources, and feed their families. He also developed hundreds of new products from the sweet potato, peanut, and other crops, and his discoveries gained him a place in the national spotlight. 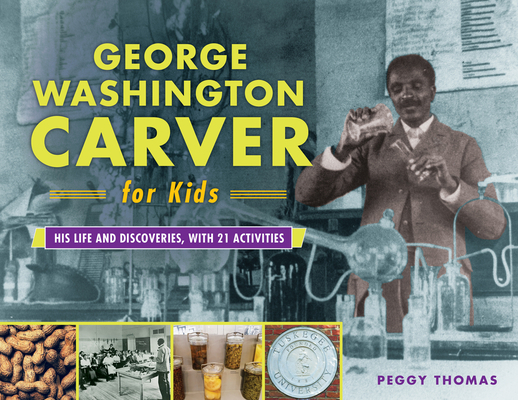 Peggy Thomas is the author of 20 nonfiction books for children and young adults, including Thomas Jefferson Grows a Nation and Farmer George Plants a Nation. She has worked closely with local and national leaders of Agriculture in the Classroom, the American Farm Bureau, and Future Farmers of America. Her website is www.peggythomaswrites.com.